Stay Informed. Get Our Industry Newsletters. 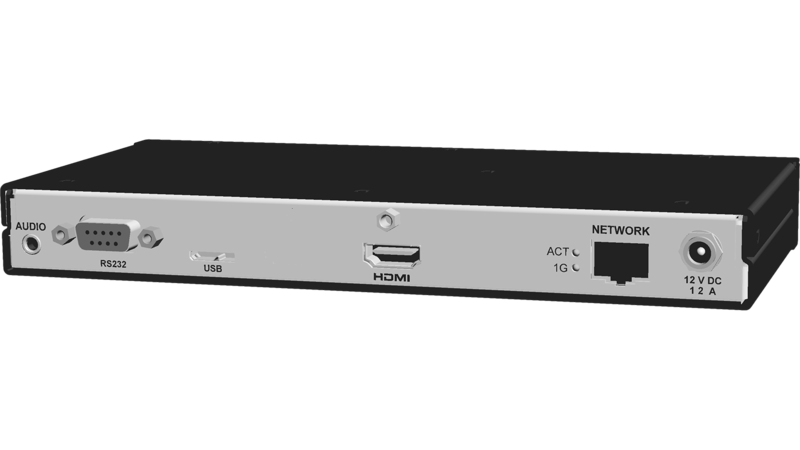 Zio® endpoints attach to a 1Gig Ethernet switch, with encoders accepting computer and video sources at resolutions up to 4K Ultra HD and decoders for feeding displays. 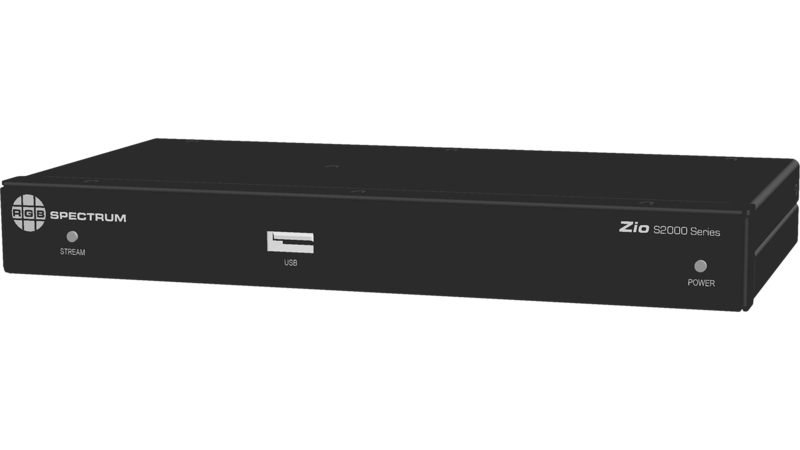 Our new Zio AV over IP technology supports video and audio distribution over an IP network, replacing traditional dedicated switchers. This product can be custom-built for any MIL SPEC connectivity, environmental and shock/vibration requirements, including MIL STD 901, 810, 461, 167 and DO160D. 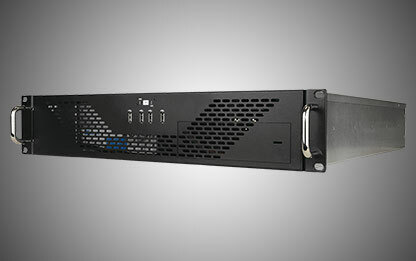 The Zio system offers seamless switching over the IP network infrastructure. Both dedicated and shared networks are supported. 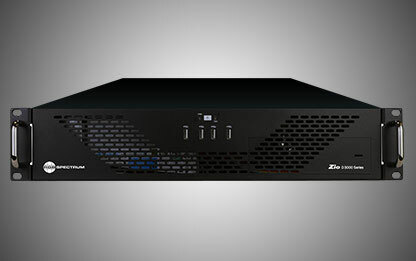 The Zio product line includes encoder and decoder models that support 2K or 4K video over IP. Zio endpoints encode and decode video, audio, and control signals using industry standard compression. The S2002 model IP video encoder accepts signals up to 2K resolution over a locking HDMI connector with loop through capability. The S2004 model accepts signals up to 4K resolution. The Zio D2000 Series are flexible decoders designed to work with the S2000 Series encoders and H.264/H.265 compliant devices. The D2002 model IP video decoder displays streams at up to 2K resolution. The D2004 model decodes and displays streams at up to 4K resolution. Power over Ethernet (PoE) is provided on both models to simplify installation. A room, a building, a campus, a city, or the world - LANs, WANs, even satellite links - a Zio solution is up to the challenge. Our advanced Zio® Networked AV platform includes comprehensive video wall capabilities making it the latest addition to RGB Spectrum’s extensive choice of display wall processors. RGB Spectrum’s Zio® multiviewers allow multiple streams to be decoded and viewed on a single display. 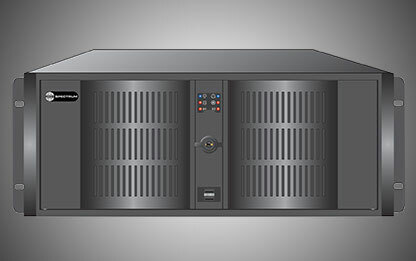 Our AV over IP technology supports video and audio distribution over an IP network. The innovative Galileo Display Processor is a powerful and economical video wall system with remote desktop capabilities designed around a PC-based architecture. Which codec is right for your project? 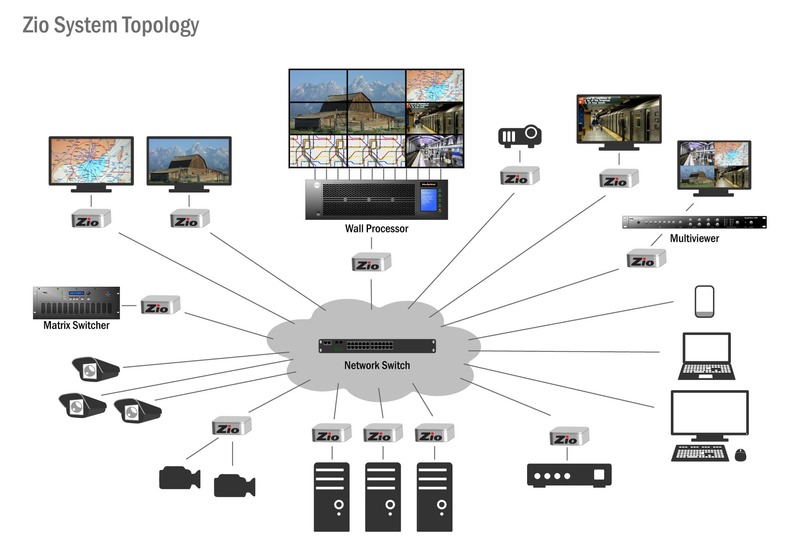 See how Zio Networked AV products distribute video, audio and control signals over an IP network. Download any or all of our brochures. © RGB Spectrum 2019. All rights reserved.